The incident happened in Etosha National Park in Namibia. 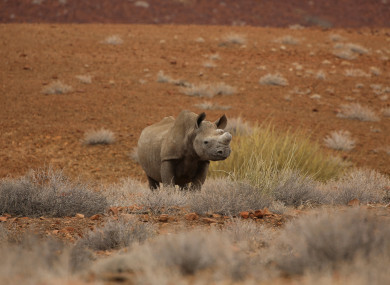 A RHINO TURNED the tables on a suspected poacher in Namibia, charging and injuring the man while he was allegedly tracking it. The suspect’s friends found refuge for him on a nearby mountain and police arrested him there last week, a day after he was injured, according to Shilongo. Muharukua was being treated at a hospital under police guard. Email “Alleged poacher arrested after rhino he was targeting attacks and injures him ”. Feedback on “Alleged poacher arrested after rhino he was targeting attacks and injures him ”.